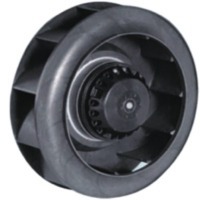 Accipiter Gentilis International Technology Co., Ltd.
Zifan Industry& Trade Co., Ltd. Size: 50*30*15CM (10 inch) N.W/G.W: 1.8kg/2.2kg Colour box size:35*16*35cm Carton size: 80*37.5*35.5cm One into a colour box,5 into a carton N.W/G.W: 11kg/12kg. ZF FA01 Round, white+ silvery Size: 50*30*15CM N.W/G.W: 1.8kg/2.2kgs Colour box size: 35*16*35cm Carton size: 80*37.5*35.5cm One into a colour box,5 into a carton N.W/G.W: 11kg/12kg. Product details: A. Quick details: Power: 26w Voltage: 24V £¨Safer and more durable£© Housing material: ABS Certification: CE£¬FCC. B. Specification 1. Size: 29*23*53cm 2. Weight: 3kg C. Features: 1. Safer---no rotating blades as in a traditional fan. 2. 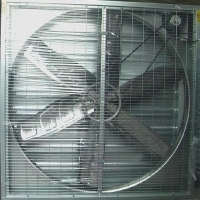 More energy-efficient---half electricity consumption of a regular fan. 3. More user-friendly---remote controlled 4. High quality---Compliant with FCC&CE. 5. Competitive price. Unique functions: Remote controlled Battery and electricity powered Rechargeable Timing function. As customers` request. Short on time? 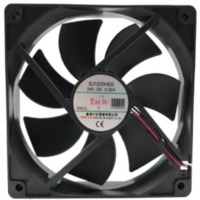 Let bladeless-fan sellers contact you. 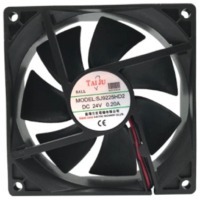 Size & type 10'inch desk fan Rated voltage: 220-240v/110-120v Rated frequency: 50hz/60hz Input power: 50 w Output power: 45 w-40 w Current: 0.3a/0.5a Cable length: 1.5m/1.8m Oscillation degree: 90¡ã Tilted degree: 10¡ã Motor speed(rpm): 4600-8000 Air-in volumn: 30l/s Air-out volumn: 450l/s Speed setting: continuously variable Switch type: dimmer switch Material: plastic (abs) Base type round Available color: blue\silver \white Approval GS, CE , CB, CCC, ROHS. Packing information N.W./g.W. : 1.8 kgs/2.45kgs Product size(l*w*h): 30.5*22.2*53cm Gift box size(l*w*h): 34cm*26cm*35cm Carton size(l*w*h): 73cm*53cm*37cm 4pcs/carton. Works with AC . No adapter needed. Packed in a box with the details. 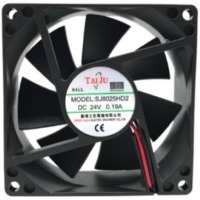 Jiangxi Vita Technology Co., Ltd.
Bladeless Fan: fashionable fan: Company: Jiangxi Vita Brand: Apure Product Name: table electric fan without blades Item No. : NO-1-2 Product Size: 595x360x190mm Colorbox Dimension: 400x400x210mm Package: international standard color box(English)5PCS/CTN Colours available: 15 clolors for your choice Material: Plastic (ABS) Switch type: turn-knob or remote control G.W. : 3.8KG N.W. : 3.2KG Rotation Angle: left/right 90/90 ,5R/MIN Tilt Angle : front/back 10/10 Speeds: infinite variable speed Motor Speed: 5500-6800-7600rpm Voltage: 110V-240V,50-60HZ Power: 40-50W Cord length 1.2m/1.5m/1.8m Funtion: cool wind and fresh air New Feature: LED/Air anion generator/Photocatalyst/Air quality tester Min.Order.Qty: 500/1000PCS Price range: US$100-US$150 Delivery Time: 20 days F.O.B. Port: Shanghai,China Container Load: 750PCS/20'FCL, 1500PCS/40'FCL, 1850PCS/40'HQ Payment Terms: T/T,L/C at sight Warranty: 2 Year. 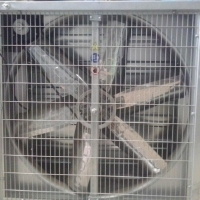 The Air Fan, no blade fan, works differently from convensional fans which can make energy saving They are applying air multiplying technology to draw in air and amplify it (from 15 to 18 times). With no blades or grilles, they are safe for kids and family menber even pets and easy to clean And they produce an uninterrupted steam of smooth air with no unpleasant buffeting. New added advantages: 1.Wind system: no bladeless +brushless motor +eddy current fan 2.Telecontrol function:workied by UV control sets of transceiver / receiver module 3.Time function: worked by MCN process to timed it 4.LED lighter: showed 256 colors lighter which worked in 22 seconds per turn,and appears perfect and soft color 5.Air anion generator: distance at 200mm:¡Ã4¡¿106 pcs/cm©ø 6.Electronical nose: air quality tester can show 3 colors lighter :red-bad ,yellow-fine ,green-good 7.Photocatalyst: after UV excitation,the surface produces a strong reactive oxidation of oxygen species and hydroxyl which can seize formaldehyde, Benzene and other harmful substances in electronics when the air passes through the photocatalyst filter and then break them up so that purify the air and make sterilization in the air. Colorbox Dimension:400x400x210mm Package:international standard color box(English)5PCS/CTN Container Load:750PCS/20'FCL /1500PCS/40'FCL / 1850PCS/40'HQ. Product Features * Equipped with powerful, high-speed motor with 30,000 hours lifespan. * With remote controller for comfort and ease of use. * Long life LED light with 2 levels of luminosity for use in the dark. * 10 degrees 2-way tilt with one touch. * 90 degrees oscillation. * Rotary switch to freely adjust airflow power. * Power consumption: 35W. * Cord length: 1.8m. * Each gift box contains a unit base, an annular head, a remote controller and an instruction manual. Yongkang Lotech Import & Export Co., Ltd. 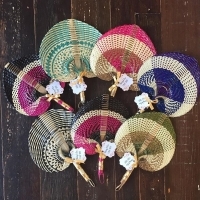 Fashionable, safe, the wind is more stable, easy cleaning. Coao Science And Technology Co., Ltd. Product details A. Quick details Power:26w Voltage: 24V Housing material:ABS Certification:CE, FCC. B. Specification 1.Size: 29*23*53cm 2.Weight: 3kg 3.Voltage: 24V C. Features: 1. Safer---no rotating blades as in a traditional fan. 2. More energy-efficient---half electricity consumption of a regular fan. 3. More user-friendly---remote controlled 4. High quality---Compliant with FCC&CE. 5. Competitive price. D£®Unique functions: Remote controlled Battery and electricity powered Rechargeable.